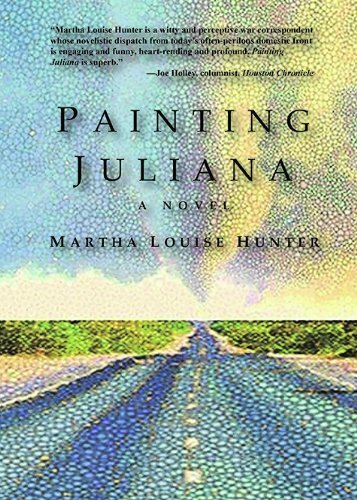 Martha Louise Hunter is debut novelist and author of Painting Juliana. She has an English degree from The University of Texas and was born and raised in San Angelo, Texas. After working in politics, writing magazine features, and owning homebuilding and interior decorating companies, she now has an estate jewelry business, marthasjewelrycase.com. With four children between them, she and her husband David Marion Wilkinson live in Austin, Texas. "Martha Louise Hunter… won the 2011 Manuscript Contest in the Mainstream Fiction Category."